You know the old saying about ignoring a weed: One years’ seed is seven years’ weed. It refers to the ability of seeds to stay viable for years in the soil, germinating when conditions are favorable. And since a single lambsquarter plant can produce 70,000 seeds, it’s a wonder that weeds haven’t taken over the planet. Weed seed predators are the insects, rodents, and birds that eat weed seeds on the soil’s surface (as opposed to eating them directly off the plant), reducing the numbers of seeds overall. There are thousands of these predators living in your garden, quietly making sizeable withdrawals from your yard’s seed bank. How sizeable? Two insects, field crickets and ground beetles, have huge appetites for weed seeds. 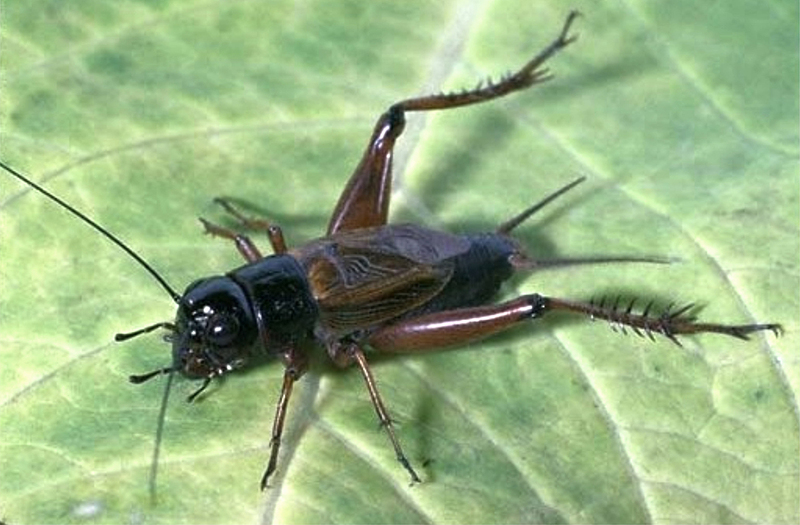 Crickets need to eat the equivalent of their own body weight every day to stay alive. One cricket in a lab ate over 200 seeds in one day. There are a lot of crickets; over 900 species in all. Cricket numbers surge in late summer and early fall, when weed seed numbers are also highest. While most species of ground beetles (carabids) are carnivorous, eating caterpillars and arthropods, a number of species are seed eaters. 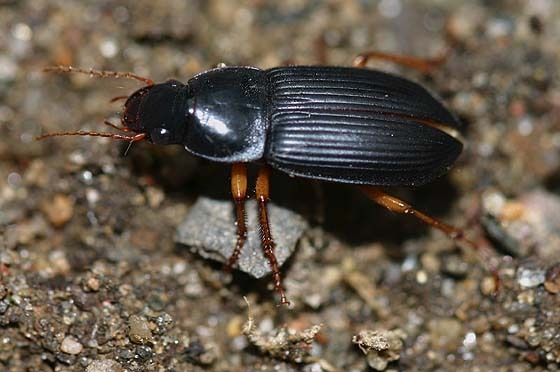 Ground beetles and crickets eat smaller weed seeds, such as lambsquarters, redroot pigweed, and crabgrass, and aren’t inclined to eat the seeds of crops desirable to humans. You can encourage these weed seed predators by creating habitat. They hide beneath vegetation. Plant cover crops in the vegetable garden and ground covers in the perennial beds, use mulch, and leave corners of the garden uncultivated. Cultivating and tilling the soil, or leaving soil bare, decreases their numbers. And, of course, using insecticides and herbicides will kill or drive them away. There are many other seed-eating creatures: birds, of course, also ants, slugs, and earthworms. Mice and other small rodents are the biggest weed seed predators of all, though few gardeners are inclined to encourage large numbers of them. Will these predators solve your weed problem? Not completely. There will always be weeds to pull. But it’s comforting to know you have allies, quietly munching away, taking care of business.